Architects embrace and take on the course for the love of design and designing. Schools and universities teach you, but once you’re thrown into the real world, you find out that most of the time, architecture is more about codes and construction and less about the designing aspect. Dimitra Tampaki’s mind goes between the scale of a building to the scale of jewelry, and she has successfully pioneered the market. She admits it’s a lot of work, but her 3D-printed jewelry designs embody her inspiration from nature and structure. Dimitra shares the breadth and scope of designing her products and how much fun and fulfillment she gets out of it. We’ve got a jewelry designer from Athens, Greece to share with you. She studied architecture in London as well and she has a jewelry design firm called MORPHḖ LONDON. It blends architecture and jewelry. You see such a beautiful geometry going on in her jewelry pieces. We’re talking about something so visual, you have to check that out. Please check 3DStartPoint.com because we’ve got some beautiful images of her work and you can see these shapes that she’s created. I’m impressed by them and I like the mix of material, the finishes as well. She has a nice mix of finishes. Dimitra studied architecture in London and went to work in architecture. She has her MA in Architecture and Urbanism from the Design Research Laboratory. She has used 3D printing throughout the architectural education process and in her career and that has led her to doing some of her own designs in which she now has spun off into her own company. She’s a real jewelry pioneer in 3D printing and is figuring it out using the best technologies available. There’re some things that she wishes could be done that can’t be done today, but she’ll continue to push the edge of the envelope. Dimitra, thank you so much for joining us on WTFFF. Thank you so much for having me here. I’m so excited about that. It is certainly an area of interest of ours. We’ve been dabbling and it’s not been good. The results are not as beautiful as what you have on your website. Thank you so much. I’m glad and honored for having me the first one to talk about 3D printing jewelry and thanks for your kind words. You have an architectural background and I can see it in the shapes and the geometry in what you’re creating. How has that helped you and why did you decide jewelry? My basic studies are in architecture. I finished my diploma studies in Greece and then I moved to London for my master degree. I did attend AA, Architectural Association School of London, and that was the beginning of the jewelry design thing. My Master’s degree was in Architecture and it was all about the new design tools, the design methodologies and fabrication methods, so 3D printing became a huge part of this whole process. I became more and more familiar to that. I love digital designing. After my Master’s, I worked at Ross Lovegrove. I know Ross. I worked with him really a long time ago. It was twenty years ago. We worked on a project at Herman Miller together when I was in the color, materials and finishes group there and he was doing a raised flooring project, but it was much more than that. That was just where it started. You merged a little bit of architecture, interior, industrial design altogether when you worked with him, I’m assuming, because that’s the way his firm is. I was doing more of product design project and he’s amazing. He’s so brilliant and I liked it a lot. Then I moved to a more architectural practice at Foster + Partners in London. There, I was working as an architect. Did you dislike it? Did you not love it? Deep inside me, I’m an architect. During my years there in the practice, I was doing more construction details and stuff. That’s what we hear so often from so many architects. It’s all about codes and construction and not enough design. I liked more the design part. While I was there, in my second year, I wanted to do design editing for myself. That was the beginning of the 3D printing. I did one that I designed for myself. I 3D printed it in the office. A friend of mine liked that and then she wanted one for herself, and so on. It’s a common problem. People starting out thinking they want to be architects and then becoming designers of other kinds. I count myself as one of those as well. When I first went to college, I went there with the intention of becoming an architect and then I too saw how all of the complexity and detail and things that you had to deal with and understand to be an architect that have nothing to do with design and I was not interested in that. It gave you a great background in CAD and structure and all of those things which I can see is translating into the design of your jewelry. The studies were very important to me. This is the interesting part here. From the large scale of architecture, I moved to the small scale, the human scale because I’m designing objects or pieces that you can wear, wearable pieces, and then trying to keep somehow the architectural line in the three-dimensional part of that. The studies were very important for me. What computer software are you using to create your designs? I’m using Maya from Autodesk. 3D Printed Jewelry Designs: I stick to Maya and then trying to become better and better in that instead of jumping from one software to the other one. That’s common from the event that I went to at Formlabs. There are a lot of Maya users there who are doing Cosplay wearables and things like that. I don’t have a lot of experience with that one myself, but I should try it out. 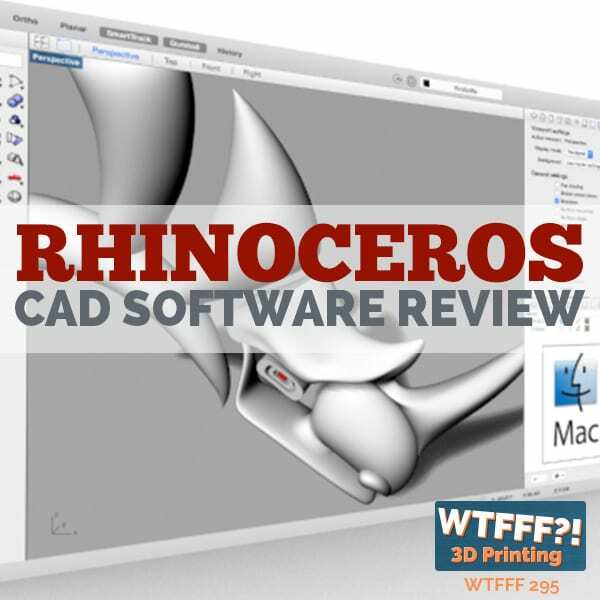 We’ve reviewed and tried a whole lot of other software. I think I even have it. I have the whole suite of stuff from Autodesk, but I haven’t used it. Did you learn that starting in college? Is that why it’s very comfortable for you or did you learn that in your career? No. I learned that in the master degree in London. This was the main software that we were using. That’s common for a lot of people that whatever you get most comfortable with quickly, it’s just a lot easier to work with that to do what you want to do rather than learn something new. This is true because somehow you gain experience and there are so many software and there are so many things that you’re going to learn from each of them. For me, somehow I stick to Maya and then I’m trying to become better and better in that instead of jumping from one software to the other one because it has a lot of possibilities. I’m also curious about some of your process. The design process is also something that for people that are not designers, it takes years to understand and learn. I want to ask you about your iterative process of creating physical samples because a lot of materials that you’re using are 3D printed metals that are from service bureaus and things like that. What about when you’re in the design process and you’re making the sample and you’re fitting it on yourself or on another subject to see how it fits, how are you printing those? I have an FDM printer at home where I’m doing the first prototypes. I am having the Ultimaker. I imagine when you print them the first time, you have to use a lot of support materials and things, and probably have to break away a lot of stuff you don’t like. Is that right? I don’t enjoy that either. That’s why I do try if I can to design things that don’t need support or I find I create a lot of my own support at times. We have to do another episode about that. I was begged at Formlabs to explain how you managed to do what you do with less support. I was like, “I’m not the person to explain that.” I know there’s an episode we’ve done, but it’s pretty buried in our archive of over 500 episodes. You should do that one again because it’s a hot topic because it’s the frustrating part of the design process. Isn’t it, Dimitra? Yeah. For me, it is a bit different because I’m doing only the prototypes with my printer. I am not doing the whole production. I am collaborating with a commercial company who is doing the whole production of my pieces. I would expect that to get it to a higher quality and finer materials. I can definitely see that you’re using a commercial 3D printer because of the kind and the finer quality of materials that you’re using it. Are you okay with sharing with us what commercial 3D printer company that you’re working with? I’m collaborating with Shapeways since the beginning. A lot of people use Shapeways. I’ve been using them quite a bit on some projects. Their metal finishes are very nice. We’ve been dabbling in some jewelry 3D printing. I say dabbling because it has not turned out very well. You got to start somewhere, but I’ve been impressed with the materials and the quality of the printing that they have been outputting. When it’s not your core expertise in a particular product area, we designed products in all kinds of categories, but not in jewelry, so the scale is different and the detail you can get is very different. When you were talking about the architecture of scale to human scale, I suspect there was a big learning curve for you in terms of you imagined shapes and then they didn’t work out so well on the human body and you had to rethink that. Over time, you learned a better scale or a better process for yourself to achieve the goal of the design you wanted to get to. My mind is somehow between the scale of a building and then the scale of jewelry, and I’m trying to make it work. Yes. Especially in the beginning, many times, either they were very thin parts which broke or a more massive part, which I didn’t like. The dimension of these things, they have to be very balanced in order to have a nice product at the end. The other question I wanted to ask you, Dimitra, was about the 3D printer. You have an Ultimaker that you use for that early design stage iterations. Is that the same printers that you were exposed to in the workplace and in school? In the school we had the FDM printer, but we also had the powder one, and in the office we had the powder one, the SLS printer. You had a combination of both, so you knew what you wanted to achieve, but you also knew you might have to iterate in a certain way to get to that. I have tried both. Having FDM printer is easier at home, so that’s why I chose that, but then my production is the SLS one. Do you have any guidelines or tips about some of the things that you just have to accept that you’re going to have to do on the FDM, knowing that it’s not a problem when it gets to the SLS? 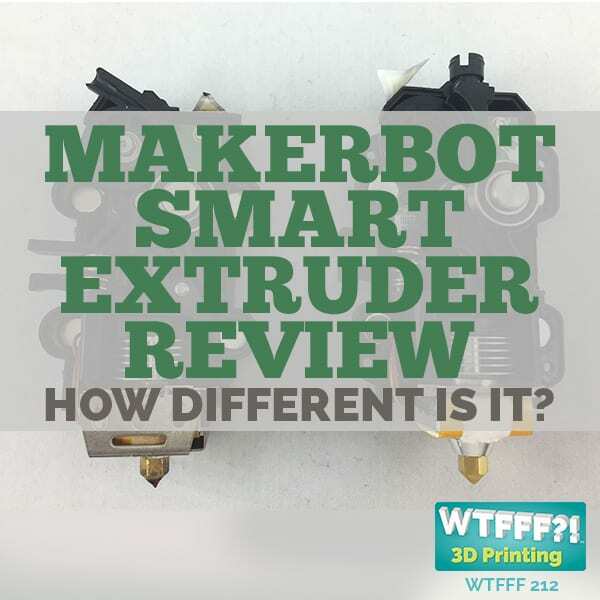 Do you have things that are like, “I can make it this small even though it might break on the FDM, it’s going to be fine in the SLS?” Do you have guidelines that you’ve developed over time? My prototypes. I don’t have a problem with the breaking parts, for example, in the FDM, but what I somehow don’t like is how they feel, the PLA. The powder one is very soft and it’s very nice. They don’t understand exactly what it is. I’m telling them that this is nylon, but in the beginning they don’t understand it because the feeling is very nice. Your designs have a very organic feel. They feel very nature-inspired and architectural and geometric at the same time. What are some of your inspirations? Where do you get your design ideas from? Nature is a constant inspiration for me for all these organic forms. My tutor in the master was Patrik Schumacher from the Zaha Hadid office. I loved all of his designs and lines, Zaha Designs. Great architect like this are also an inspiration. 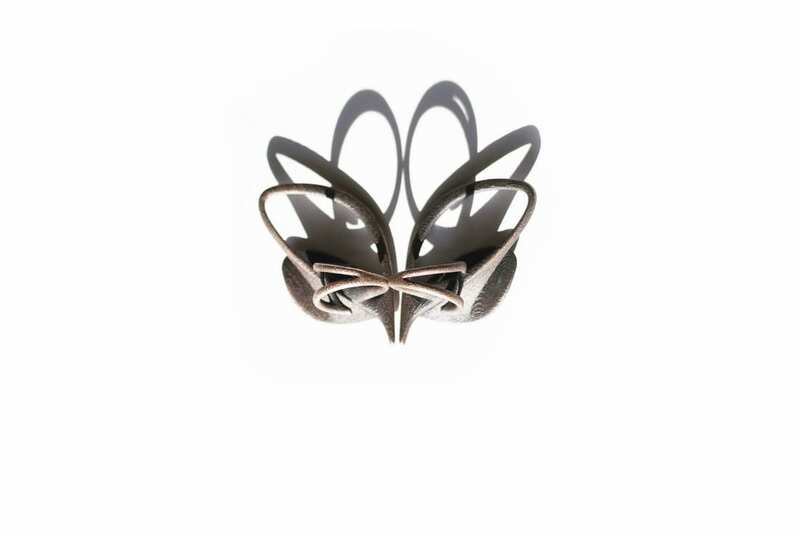 3D Printed Jewelry Designs: Nature is constant inspiration for me for all these organic forms. You’re inspired by others and inspired by nature at the same time. I like that. I can see the merging of them. You get inspired from everything that you see, from other people’s work. At the same time, it’s not that you’re copying them, but you’re trying to express yourself in ways. 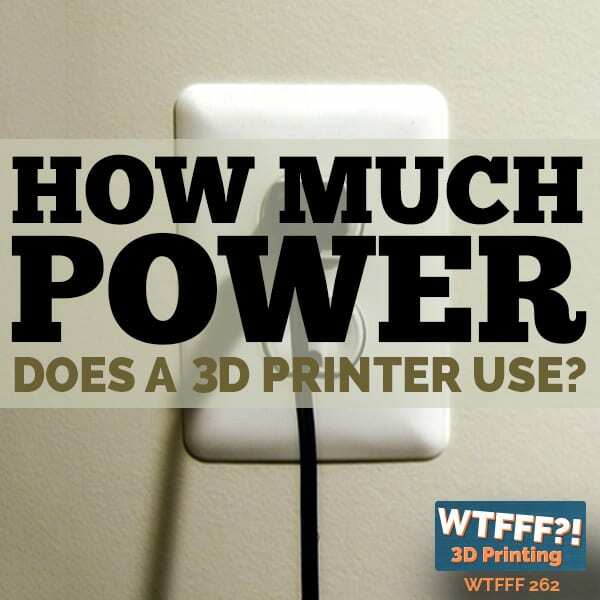 What do you wish that 3D printing had? Whether it’s finishes, colors, materials? What do you wish it had? I am 3D printing two different materials, the nylon one and then the steel one. I wish that soon, we will be able to 3D print in silver or in precious metals directly. Directly print in it at home or in your office? At home would be even better. I’ve been printing. They have precious metals that you can print at Shapeways and so many other service bureaus. Have you not tried that or do you mean something different? In Shapeways, they cannot print directly in silver. They are doing the lost wax process. It’s like the traditional way of casting pieces. What they can do is they can 3D print in steel which is a mix of steel with bronze. We had no idea. I didn’t read some of the details there. I had been having some things printed in silver at Shapeways and I didn’t realize that they were doing a lost wax process. I thought they were printing it somehow in silver. I haven’t taken a tour of the place. I haven’t seen the machine firsthand, but I did go through. There are a lot of design limitations that tell you the minimum wall thickness and all these different things, how to design to this material, but it does explain some of the minimum pricing because I found no matter what size object I was doing up to a certain volume, the price was the same. Even if you had a smaller object, it was the same price to get one printed, and that’s probably because of the process of needing to do the labor of the lost wax and all that. They’re using the five-step process. There are printers who were printing directly in gold, but they are not very easy for the commercial use or at least I haven’t found it. Lots of people are working on metal 3D printing even in FDM since, but that’s not very fine. There are others working out of Buffalo, New York. There’re been a lot of reports and we even talked about it on the show of a company that’s working on essentially having a metal wire that they’re feeding into an FDM-like printer and printing metal and that’s coming. I’m excited and hoping that it makes it all the way. I’m sure it will have limitations also, but the quality that’s come out of Shapeways I felt was excellent. There’s also the side of it of finish. You were talking about you don’t love the finish coming off the FDM machine and I could not agree more, but a lot of these service bureaus don’t have quite the broad range of finishes that most jewelry is made out of; mixed finishes you like and have it all polished or all not. They’re not full service post-processing and that is a holdback as well. I would love to see combinations of metals to being able to do two metals together and then also being able to have two different finishes together and that makes it difficult. I’m not saying Shapeways, all their products, the metal and steel metal, they have a very nice feeling and touch. You can see somehow the layers that are coming from the 3D printing. When I say that I want to see 3D printing directly in silver, it is because a lot of people are a bit afraid of the steel and bronze with all the allergies, etc. Some of them, they are a bit afraid of using these jewelry pieces. That is so true of earrings especially. I have a daughter who is sensitive and I have had such a hard time finding pure silver to put in her ears. You think you’ve got it but it’s not. There are a lot of people who are very sensitive to that. When I started doing this brand and all the designs, I didn’t think of any of these details. Now, after one year, I realize some of the problems and the issues that are going to be solved. You have objections as you’re selling and marketing and you start to understand that better. Let’s talk just a little bit of business. How is it going for you? How are you marketing your jewelry? How are you getting the word out about what you’re doing? It’s going good. It’s a bit hard to transform yourself from a designer to a business person, because a designer thinks completely different from a business person. You need somehow to find a balance in order to move forward. In the beginning it was very slow, the whole process, because I am doing everything myself from the design to the packaging to the social media presentation and distribution, everything. It was a bit tough. Now it’s going okay because I have given some of my pieces in some boutiques here in Athens. I’m going to collaborate with one museum in their design gallery in the next few weeks. The tough part is the people who don’t know about 3D printing or at least not all of them or not as many of them. It needs time to educate people about what you’re doing because it’s something new. Do you think it’s important that your customers or the people that ultimately will be buying and wearing your jewelry, understand that it was 3D printed or do you think that that doesn’t matter to them? It depends because the market is a bit more difficult than what it used to be. People are looking and sensing a lot before they buy something. They want to know exactly what it is, especially with the materials. They can buy a nylon piece but they have to understand the design and the process behind that. 3D Printed Jewelry Designs: It needs time to educate people about what you’re doing because it’s something new. You’re saying it is important to them to understand how it was made and where it came from. I wish it was like a story about it. I wish it was amazing that I got it from this amazing designer in Athens. I wish I could say that, I can’t. You do go out there and seek jewelry because it is going to be a statement piece. If you have this great story, you will tell it. If it’s a story about a designer and a story about technology, even better. I do agree with you. There’s got to be a way. It’s not as much education. I see it as just storytelling. It enhances the sale. The storytelling is very important. For example, what I said about the steel pieces, maybe because I have some pieces that are quite big, that means that the cost is a bit higher than the rest. When someone asks, “What is the material?” and I’m saying, “It is a steel with bronze,” this is not enough. When I’m saying that it is 3D printed directly in metal, then it is something else. They can see it in a different perspective. Have you ever filmed any of your design process and considered having a video that would help tell some of that story for some of these local shops that are selling it? Unfortunately, not yet. I’ve been thinking about this. It’s a little early. It takes a lot to do it. We’ve done some things like that with some videos. Tom has one that our son-in-law created, which is a beautiful video. I absolutely love the story and the way he told it. It’s about how he created the design for his 3D printed tie and it gets a great response because it combined that design and construction side of things and tells the story. I can’t say that it translates into more sales. It doesn’t do that, but it’s more awareness. That’s not our focus. If we wanted to make a big deal of it and sell it, I’m sure we could sell that tie. That’s not our business, that’s not our model, but it does raise a lot of awareness about our design process and the construction process of how flexible and how broad 3D printing can be in terms of shape creation, styles and materials. I had a presentation for two weeks and during the presentation, I had my printer together. I was printing some earrings at that time so people could understand and see closely how the whole production is made. What’s next for you, Dimitra? I’m trying somehow to establish my brand here and then maybe abroad. I’m in this step. I have exposed myself too much to the market outside because I want to hear what people are saying, what they think about 3D printing, etc. This is my goal, to make awareness about 3D printing and the possibilities in the jewelry market. At least here in Greece, it’s not very well-known. I’m sure that there, they are aware more of all these things. I don’t think so. There are a lot of people who are completely unaware of it. 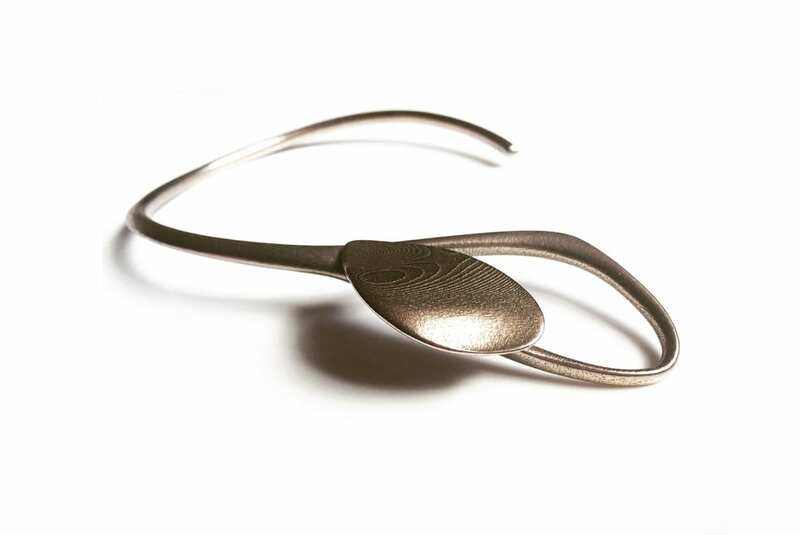 They may have heard of this 3D printing thing, but they never think of it like, “It creates jewelry.” We are still at a very early stage of awareness creation, but what you’re struggling with is very common across many product areas, not just jewelry. There isn’t a great marketplace for helping you to keep designing and not do so much of the business. It’s a marketplace that is attracting real consumers because as much as I love Shapeways for what they can do and Sculpteo and i.materialise, I love all of those companies for what they’ve done for the production side of things, their shopping side does not attract consumers who aren’t already in the 3D printing know. 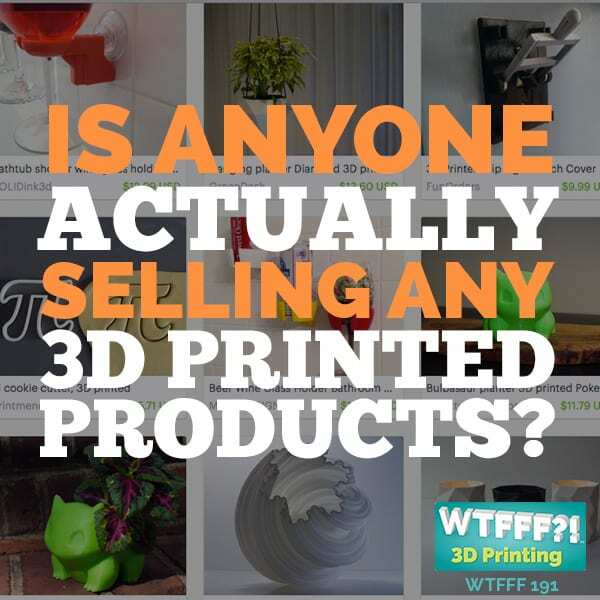 You have to know about 3D printing to decide to shop in their store and then find you or find others. 3D printing isn’t where the shoppers are right now and that’s the disservice. It would be great; it can add to the story that you’re 3D printing, but you have to be where shoppers already are and that’s where I find we don’t have a marketplace that has merged those two things well yet. I totally agree with what you said because even myself, I’m using Shapeways for almost three years. I started the shop in the marketplace but I just use it for one month or a bit more, but it was not working at all. The shop is only speaking to those who already know enough about 3D printing. For most of them they’re like, “I can create my own.” They may not be as talented as you, but they feel capable and so it’s not people who are out there shopping and looking for things. “If I can design and 3D print, I know Shapeways and I’m going look around what they have but I am not going to buy because I can do something myself.” It’s exactly like that so my market, the people that are going to be my potential clients, they are not there. They are outside somewhere and I’m trying somehow to find them. You found one here because I see one I like and I’m trying to flag Tom and say, “Please buy that one,” so you may have found a client. Thank you so much. I would be very happy to send you anything you need. We appreciate you coming on and sharing your design process, your construction process, and your brand in general. I am excited to see you succeed and please keep us posted because we would be happy to update our listeners as to what you’re doing if you’ve moved into a new area or if you found a marketplace, you have to let us know. I will. Thank you so much again for having me here. It was a real pleasure talking to you. I have a great deal of respect for Dimitra and what she’s doing and I’m very impressed. I adore the designs. They’re gorgeous. They have such sensibility to the human form and to the statement she’s trying to create, so that in and of itself is design respect. Also, she is on a path that is so common to many out there and to us as well that as we’re working on our designs, no matter what industry or category they’re in, we’re all having trouble making the business side of it work because the marketplace isn’t quite ready for us. There’s a lot of reinventing. It’s a lot easier to go into a mature marketplace and start selling work and design and other things. It’s a lot harder to have to recreate those or recreate the reach to your market, to your shoppers, as I termed it when we were talking in the interview. That’s a whole lot harder. That’s a whole different business plan. 3D Printed Jewelry Designs: It’s a lot easier to go into a mature marketplace and start selling work and design and other things. It’s a real problem in general. There is no marketplace for consumers where they can go and find highly-designed, not mass produced items. There is no place that’s known for that and consumers don’t even understand that they can get it. It’s a real problem, so I can understand why at the same time she’s trying to build a name for herself. A real fine designer like Dimitra, I’m sure, can go and get press, coverage in magazines, maybe get fashion designers to wear her stuff on a runway show, and you can start to get exposure that way and people would then know to go to her own website to buy, but I can understand why she’s looking at Athens’ local jewelry shops, art boutiques, and places that tourists would go. I’m thinking back to when we went to Greece. It was a long time ago and just walking through some of the markets, even just at the foothills of the Acropolis, where the Parthenon is. I’m walking around through some of those markets in Athens, there were all kinds of interesting artisan stuff. I remember we bought certain things. They were not 3D printed back then. We bought certain things in ceramic. There was lots of beautiful tile work. We brought home a lot interesting tiles that we still have hung on some of the walls in our home, but I can definitely see that her jewelry could sell very well in that environment. That’s a lot of work for a small amount of foot traffic, small amount of sales that you’re not going to get rich selling jewelry right there alone. Those little shop owners are barely making it and they’re selling stuff from all kinds of different vendors and artisans that they can get. You’d have to sell in shops like that all over the place to get enough volume. There’s something missing. There’s got to be a way to sell in an eCommerce sense and reach more people. It’s just the opportunities are few and far between. The opportunities to sell against Amazon and other places like that and Etsy even, you are selling against them without the story. You’re selling against things that might be mass produced in the Amazon case or might be completely handmade in another case. You don’t have that ability to tell your story and sell your brand for what it is from both a design perspective and a construction statement that is here and there isn’t an opportunity because those stores aren’t set up to be that way. They’re set up for the quick sale. What does someone like Dimitra need to do? Does it need to be a digital marketing effort on Facebook or something in order to reach people? You could reach way too many people and then have a big backlog of making them. It’s a content plus commerce situation. You commerce needs to be located in the place at which the shoppers that you might attract the most, who are most valuable to you. If it’s women over 40 or if it’s millennials under 30, whatever that might be, that is your core audience of who wants to buy this, who would be most excited by this. You need to position your eCommerce within that space so that you already have visibility to people who already shop and you have the credibility of the shop itself that might sell there. The other side of that is amazing amount of content and you’re driving traffic through there, targeting that audience. It is a marketing business and not a design business. That’s where I see the issue for someone like Dimitra and someone like us, which is why we didn’t attempt it because it becomes all about that and not about design. Let’s have a separate episode specifically on that issue and we can take a deeper dive into it. Stay tuned for that one. We’ll try to air it as the next episode right after this one, so stay tuned for that. Make sure you go to 3DStartPoint.com and also you can check us out on Facebook @3DStartPoint. We hope you all enjoyed that. We certainly did. Thanks for listening everyone. We’ll be back next time. 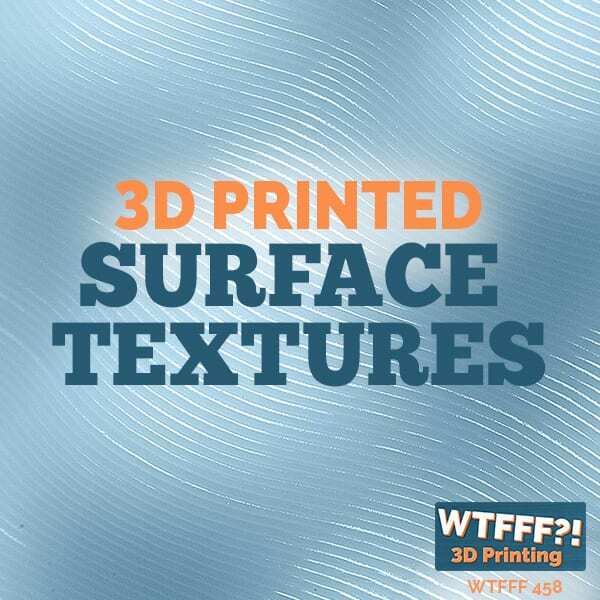 This has been Tom and Tracy on the WTFFF 3D Printing Podcast. Architect and Head Designer of MORPHḖ LONDON, Dimitra Tampaki graduated from the Architectural Association School of Architecture (AA) in London where she received her MArch in Architecture and Urbanism from Design Research Laboratory – DRL (2014). Since then, she is in a constant research of form finding methodologies, exploring the latest computational design methods and digital fabrication techniques in order to incorporate it into her jewelry line. In 2015 she established MORPHḖ LONDON where digital design is combined with advanced 3D printing technology in order to create dynamic statement pieces. Organic forms are translated into body sculptures and wearable art embracing smoothly the body. They follow the curves and the bones of the human body and are merged to that. This work is about beauty, elegance and exploring digital art forms on the body. MORPHḖ comes from the Ancient Greek word “μορφῆ” which refers to the shape and form of an entity.